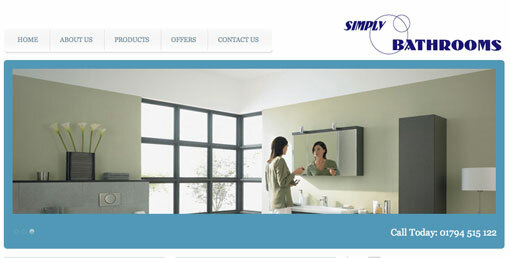 Simply Bathrooms are based in Romsey near Southampton, they supply, fit and design bathrooms. Their current website was slightly dated and was in need of a revamp. Simply Bathrooms approached The Funk House to provide them with a new website that was easy to edit and looked professional. Using WordPress as a CMS (Content Management System) it allows the client to update their site with ease. The client wanted to show off the nice photos they have of their products and give users a flavour of what they provide. The design was kept simple to allow the focus of the photos and to make it easy for a user to navigate. The Simply Bathrooms Twitter feed was also integrated into the design, allowing users to easily follow their tweets about special offers.